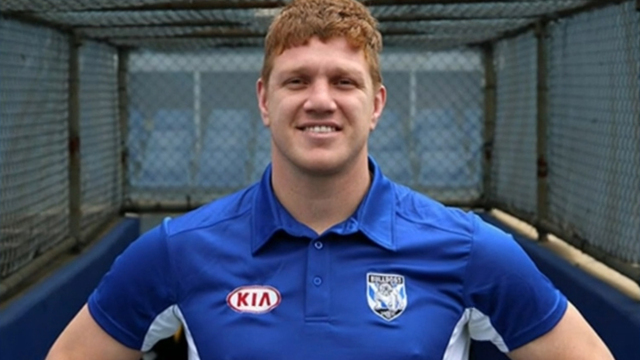 Canterbury recruit Dylan Napa is eager to prove you can teach an old dog new tricks by correcting some bad habits. After arriving at Belmore to meet his new NRL teammates on Wednesday, Napa made the frank admission he needed to work on his tackling technique. The front-rower was suspended for three weeks - including the opening two games of the the Sydney Roosters' finals campaign - after an ugly tackle on Andrew McCullough in which he led with his head. It was the second time in a season in which Napa found himself in hot water for putting his head in the wrong spot, after a similar incident with Korbin Sims in round 11. The Queensland prop is wary of curbing his trademark aggression. After all, Bulldogs coach Dean Pay in his first press conference 12 months ago stated he wanted his side to play with some "madness". Napa could be the man to revive the "Dogs of War" mentality. However, he conceded there were problems with his technique which he needed to fine tune. "I've had a couple of incidents," Napa said. "I'm here to work on my game and hopefully become a leader amongst the group. "I'm just happy that I can be a part of this group. "I'm sure I will be doing some work on my technique this pre-season. I wouldn't say it's completely wrong." Napa left the Roosters, a side coming off a premiership win and in contention to go back-to-back, for a club widely tipped for the 2019 wooden spoon. The 26-year-old said a big factor in his decision to accept a three-year contract was the lure of more minutes. He averaged just 41.3 minutes in 2018 and is eager to increase his output as a senior player at the Dogs. Napa admitted there were some reservations about leaving the successful Roosters but was confident he was making the right move. "I had a really good, successful time at the Roosters, but I thought this is where I can grow as a footballer and as a person," he said. "I always think that I could have been at the Roosters for one more year. "But I'm a Bulldog now and I'm proud of it and I'm going to be doing everything I can to earn the respect of this playing group."